To locate rows for which a numeric column is within a range of values. Select the name and the employee's manager number for all employees whose job codes are in the 430000 range. To locate rows for which a character column is within a range of values. Use the IN operator as shorthand when multiple values are to be tested. Ex:Select the name and department for all employees in either department 401 or 403. The LIKE operator searches for patterns matching character data strings. Display the full name of employees whose last name contains the letter "r" followed by the letter "a". Display the full name of employees whose last name contains "Ra". This is a case-sensitive test. The default comparison for Teradata mode is not case-specific. 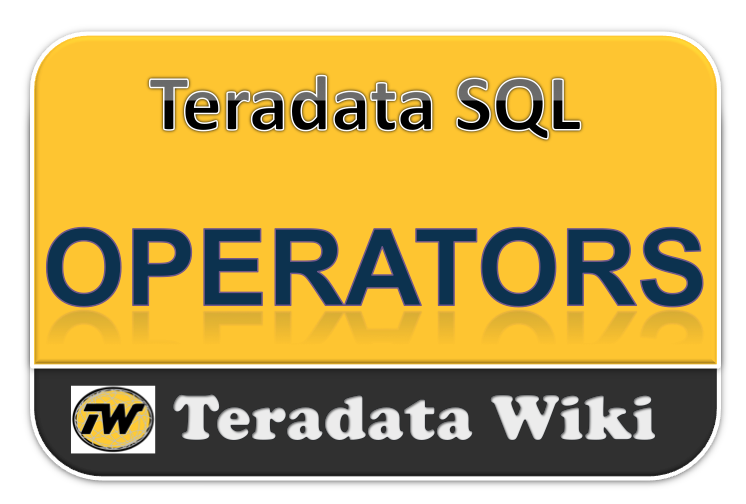 Use of the Teradata extension (CASESPECIFIC) forces a case-specific comparison. Display the full name of all employees with both "E" and "S" in their last name. Display the full name of all employees with either an "E" or "S" in their last name.